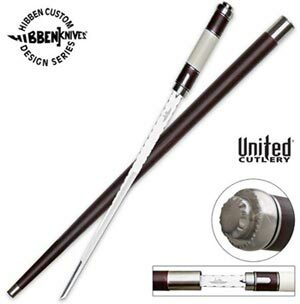 Hibben Self Defense Sword Canes measure 36 ½ inches in all. 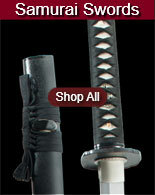 These cane swords have a 14 inch, functional tanto style blade that is contained in the wooden shaft. The sharp blade is manufactured of mirror-polished 7cr17 stainless steel. The top of the cane is made of stainless steel that has been file worked and provides for an excellent grip. Furthermore, this heavy stainless steel construction gives self defense protection by allowing these canes to be wielded as a club. Designed by master sword maker Gil Hibben, these popular cane swords have a wooden shaft with a simulated wood and ivory grip. 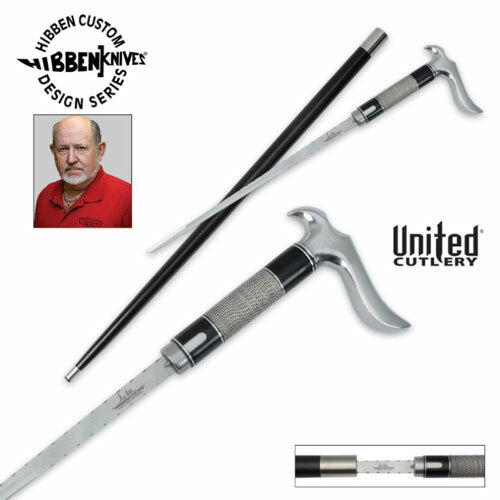 Buy Hibben Self Defense Sword Canes for $119.99. 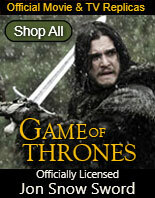 Heavy Hook Sword Canes for sale are made by United Cutlery. 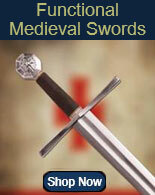 These custom designed sword canes are part of the Dragon Lord Collection created by master sword maker Gil Hibben. These popular and beautiful Heavy Hook Sword Canes have a custom hook, mirror polished stainless steel handle. They measure 36 ½ inches in all. 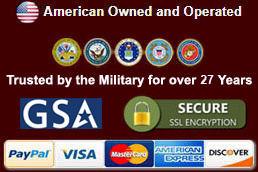 The tanto length blade measures 14 inch in all. The sharpened, functional blade is manufactured of mirror polished 7CR17 stainless steel. The Heavy Hook Sword Canes have a hardwood cane shaft that is painted shiny black with coordinating, highly polish stainless steel accents. The blade of the Heavy Hook Sword Canes is released through a quick blade-release mechanism. The handle construction makes gripping comfortable and secure. 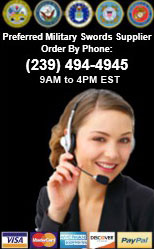 Buy the Heavy Hook Sword Canes for $129.99.